Alice Sherwood discovered a terrible world of food allergy when her allergy to her egg and nuts was found in her two-year-old son. Disappointed with the food he could prepare for, he decided to invent his own recipes. 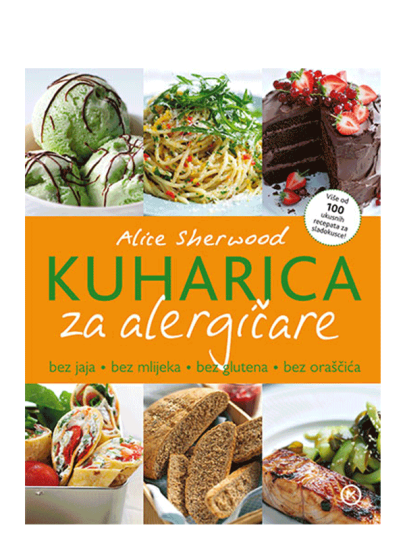 In the book, you will find more than 100 delicious and delicious recipes for people with allergies: from crispy and delicious biscuits, creamy ice creams and cakes that "float in your mouth" to the original ideas for gourmet dinners from Mediterranean, Asian, Mexican or British cuisine. Four cookbooks in one book - each prescription can be prepared without one or more of the four main allergens - no eggs, milk, nuts and gluten.